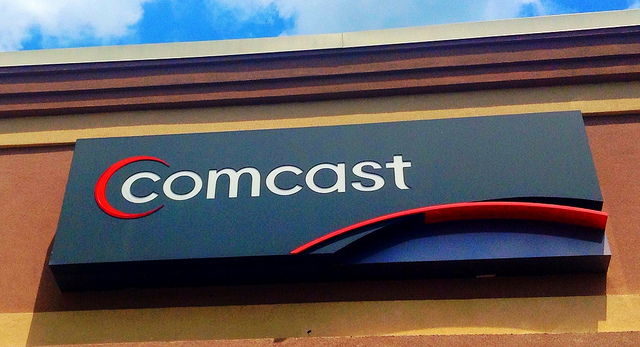 For the past 10 years, the cable company Comcast has been struggling to add new subscribers. However, in the past year, they’ve just wrapped up their best year ever. What’s changed for their product managers? In the final quarter of the year, Comcast was able to add 89,000 new subscribers. For the year overall, the company only ended up losing 36,000 video customers – this was their best result in the past 9 years. The Comcast product managers know that they need to take steps to prevent cable cutters from leaving them. In order to make the experience of using Comcast video services more enjoyable for their customers, the product managers have been changing their product development definition and investing in providing better customer service and they’ve been enhancing the functionality that is delivered by their set-top box’s television program guide. Cable company product managers have been in a highly competitive market for a number of years. They have been losing customers to satellite providers and phone companies who have gotten into to the video business. One of the key areas that cable companies have been investing in to win back customers has been their high-speed broadband services that they often bundle with their cable TV offerings. Additionally, the cable television product managers have listened to what their customers have been telling them and they have started to offer slimmed down packages of cable channels for lower prices. This is the kind of thing that would look good on a product manager resume. The competition in the cable business started to get heated about 10 years ago when both Verizon and AT&T decided that they wanted to become cable companies also. However, things are changing now and the phone companies are starting to focus on growing their wireless business and not their video customers. Verizon has sold off parts of its FIoS video business and AT&T has started to back away from it’s U-verse video service because it recently purchased the Direct-TV satellite broadcaster. Pay TV just had its worst year ever in terms of customer loss. AT&T loss 240,000 U-Verse customers and Verizon was only able to add 20,000 new customers. However in this same time period, the cable TV product managers were able to have their best year in the past decade. There has been a great deal of fear in the cable business that people would engage in cord cutting and they would stop paying for traditional TV services. This fear has a basis in reality – the total U.S. pay-TV market has been contracting at 0.9% per year. The Comcast product managers appear to be doing something right. The company has reported that 75% of its new video subscribers have signed up for big TV packages, not the slimmed down low cost ones. One of the reasons for this success is that Comcast has been investing in its video services over the past few years. Comcast now has over 650 software engineers working to transform their customer’s video experience. They have been able to deliver a sleek Internet connected set-top box and guide. Additionally, the company has spent $300M to upgrade its customer service operations and now offers an app that lets customers rate the quality of service that they receive from the company. The cable TV business has been in a bad place over the past 10 years. They have been losing customers due to the arrival of “cord cutters” who are unsubscribing to traditional cable TV services. However, Comcast has just had its best year in over a decade. Clearly the Comcast product managers have taken a look at their product manager job description and discovered a way to be successful when everyone else is losing business. What the Comcast product managers have realized is that they need to make changes to the product that they are offering to their customers. One such change is to slim down the packages of channels that they are offering and provide their customers with more product choices at lower price points. What they have also done is to invest in a lot of software engineers and use them to create a slick set-top box and well designed guide system. Additionally, Comcast has made a significant investment into their customer service. These changes have made the Comcast TV service more attractive to customers. Question For You: Do you think that the Comcast product managers will need to eventually have to sell video channels one at a time? Whole foods is a grocery store chain. It’s actually a pretty special grocery store change and if you talk to any of the people who shop there, you’ll quickly discover that most of them are true believers in the company and the products that they carry. For the past few years, Whole Foods has been growing like crazy; however, lately things have been slowing down. What’s a Whole Foods product manager to do? Can NBC Product Managers Make The Olympics An All Year Event?